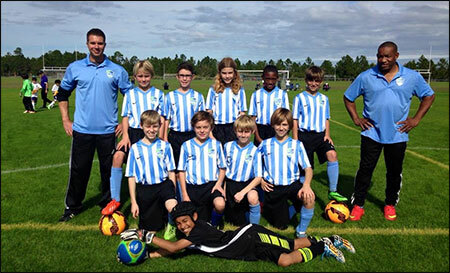 Rice & Rose is proud to be a sponsor, once again, for the Southeast Volusia Soccer Club (SVSC). This is the second year in a row that Rice & Rose has been a major sponsor for the SVSC. The monies donated to the club will help to offset costs associated with equipment, tournament fees, and scholarships for children to be able to participate. Pictured is Partner Philip Bonamo's son, Evan, with his teammates that make up one the SVSC's competitive/traveling team. Click here for the Southeast Volusia Soccer Club (SVSC) website.